Secureprivacy.ai helps organizations make their website GDPR & Data Privacy Compliant. Established by Dan Storbaek, former CEO at Skarpline and management consultant and board member at IoT People. Businesses use Secureprivacy.ai to scan their website for legal risks, plugins, and data that make your company non-compliant or at risk of becoming. Information obtained is then used to setup intelligent banner notifications on different pages using different triggers. The company also enables the automation of GDPR compliance with built-in tools and technologies that allow users to opt-in and opt-out of previously given consent with just one click. This allows administrators to extract reports with visual screenshots of consent provided. All this ensures compliance without having a UX nightmare. 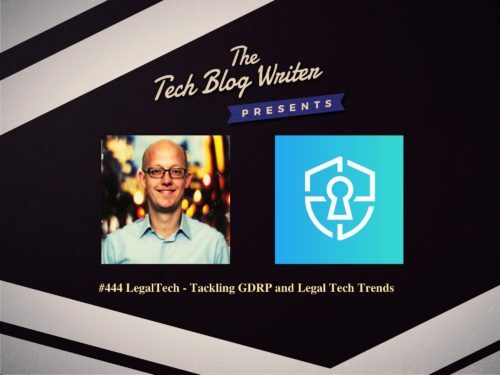 We also discuss how SecurePrivacy has just launched a new tool for anyone to enter a website URL and immediately find out if the website is at risk of penalties when GDPR gets enforced in 2018. The tool looks for website plug-ins like Google Analytics, comScore, WordPress, Facebook, ad networks, etc. to determine if a website is in violation. Please share your thoughts and experiences or ask a question by leaving me a virtual voicemail below. I will answer all messages maybe even play it on the next episode.